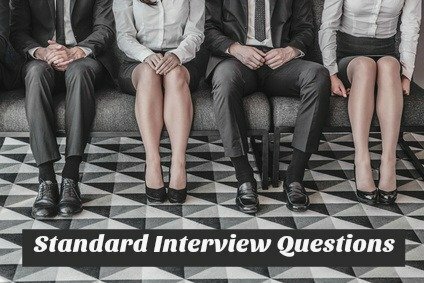 Behind standard interview questions there is usually a specific concern or requirement. A candidate needs to think about what the interviewer’s concern might be - why is the interviewer asking you this specific question? What is the interviewer looking for in your interview answer? These job interview questions are likely to be asked in some form or other during your interview. Be ready, use the interview answers to prepare and practice your own answers to these common interview questions. Conflict occurs in virtually every work setting. Employers are looking for a person who can rise above conflict and problems and find win-win solutions. How do you handle conflict at work? The interviewer wants to know how you react to conflict and how you manage it. Try to focus your job interview answer on the behavioral process that you use to resolve the conflict. Don't direct your answer at how difficult you boss or co-workers are and how hard it is to work with them. This portrays you as someone who does not get on easily with other people and employers want someone who gets on well with others. Use your interview answer to highlight your interpersonal skills, your maturity and your ability to stay calm in the face of difficulty. "Everyone has to deal with conflict at some point. I have found that when there is conflict it helps to try and put yourself in the other person's shoes and understand their perspective. It is important to ask questions and listen to their point of view. If you know what their interpretation of the situation is, then it is easier to work out a solution. For example.... (give a specific example of a conflict situation and how you dealt with it)." Emphasize the techniques you use to diffuse conflict such as understanding the other person's position, asking questions to find out the cause of the conflict, not conveying blame and not becoming too emotional. Demonstrate your ability to work collaboratively to reach an acceptable resolution. Here is another of those standard interview questions that is exploring a number of aspects at once. This job interview question is trying to determine two things - what your definition of "difficult" is and how you approach challenges and problems. Avoid discussing difficult situations that were directly caused by you. Make sure it is a situation that most people would consider difficult or tough. Think of specific problems that tested your skills and abilities and had positive outcomes. Highlight the way you analyzed the situation, the skills you used to professionally deal with it and your particular contribution to resolving it. "I have faced a number of difficult situations, but the one that comes to mind now is ...( describe the situation). I was able to deal with it by assessing the situation, determining the possible different approaches and deciding on the most effective one. I had to remain unemotional and objective and focused on a solution." This typical interview question also evaluates your judgment and decision-making ability. Show how you were able to gather and consider all the facts of the situation and use your good judgment to make the right decision on how best to handle the situation. Good decisions are based on factual information. Preparing your answers to standard interview questions like these sets you up for interview success. 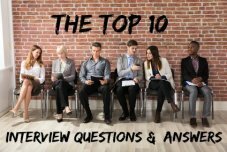 Be aware of illegal interview questions and find out how to handle them. Be prepared for tough interview questions about reasons for leaving, gaps in employment and salary. 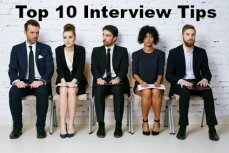 Have good interview answers prepared for standard interview questions and convince the interviewer of your suitability for the job opportunity.